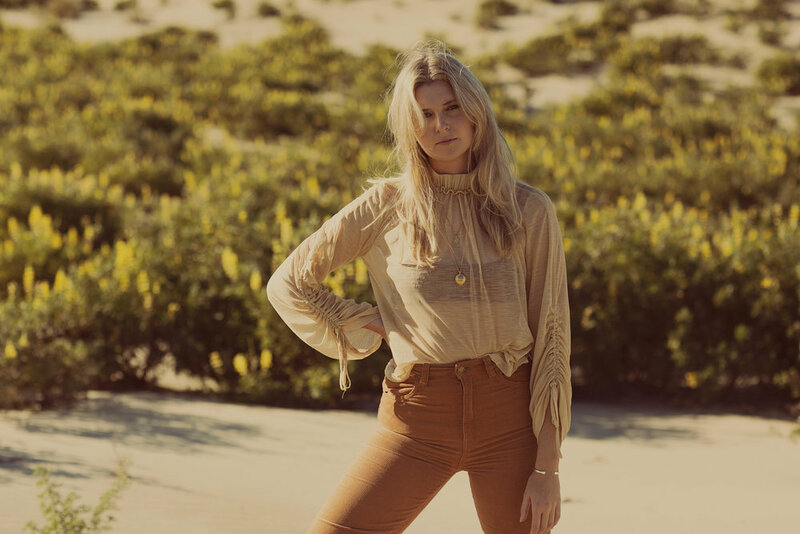 Kiwi musician Jamie McDell ventured outside her comfort zone to write her latest record, and she couldn't be happier with the result. We chat to her ahead of her performance at Ashburton's Bite Nite 2.0 event. With an emphasis on authentic storytelling, Jamie McDell’s third solo album, Extraordinary Girl, has been a gamechanger for the independent singer-songwriter. Recorded in Nashville, Tennessee with award-winning Australian producer Nash Chambers, the new project (released in May) allowed the artist time to focus on what she really wanted to achieve with her sound, and the message she wanted to convey to the world. Featuring Kasey Chambers, Bill Chambers and Tami Neilson, its country-tinged tunes draw on the influences she grew up with; John Denver, Emmylou Harris, Patty Griffin and Alison Krauss. “I knew exactly what I wanted to do and that ended up being recorded in Nashville,” McDell says of the album’s beginnings. Signed to EMI at just 16, she released her debut album Six Strings and a Sailboat, which went on to achieve Gold album sales, and three NZ Music Award nominations, winning Best Pop Album of 2013. Her sophomore record, Ask Me Anything, gained global attention, seeing album track, Moon Shines Red, featured on American TV series, Pretty Little Liars. As she continued writing, the songs began taking on a raw and vulnerable tone, which led to the compilation of 12 songs written solely by McDell for Extraordinary Girl. Nash Chambers pulled the whole project together over a two-day recording session, complete with a full band, at House Of Blues, Studio D in Music City. This new album also marks McDell’s second independent release since going independent from 2016 - the first being a debut album, written and performed with her younger sister Tessa as Dunes. Following a successful tour promoting the new tracks, she’s now looking forward to performing at Ashburton Youth Council’s popular Bite Nite event. Hundreds of people descended upon Baring Square East for last year’s inaugural event, which helped raise funds for 24/7 Youth Work, and the 2.0 show is expected to be bigger and better. Youth Council co-chair Artem Kravchenko says, Bite Nite, which will take place on 26 September, will be headlined by McDell, who will be performing songs from the latest album along with other hits. A number of local singers and dancers will also take to the stage. “We’re super excited to have Jamie on board and hope the community will come down for a great night out,” says Kravchenko. Food trucks will again line the square to serve up some great treats and street food and a photo booth will be on site for everyone to snap and print photos to remember the night. Bite Nite will run from 5.30pm until 8pm at Baring Square East on Wednesday 26 September. Entry will be a gold coin donation with all funds raised going to support youth organisation, Mid Canterbury Boxing Academy.